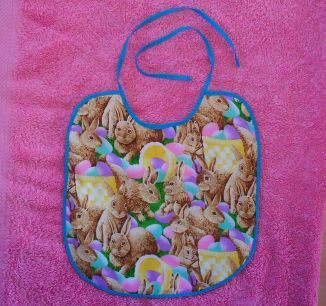 This nice Rabbit Print Baby Bib is made to work. It is large, approx. 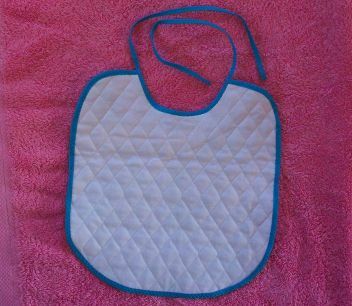 10 3/4" x 11 1/4", it is also made with a nice grade quilted material to absorb the mess that might be spilled on the bib as the child eats.